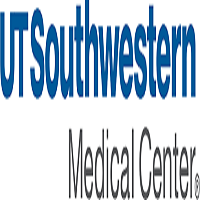 Works under minimal direction to lead Southwestern Health Resources’ comprehensive Risk Adjustment and Coding program. Bachelor’s degree in a clinical or related field and eight (8) years of experience in risk adjustment and coding to include at least 4 years in a leadership role; or Master’s degree in a clinical or related field and six (6) years of experience in risk adjustment and coding for which at least 4 years in a leadership role. Prefer 2+ years of experienceworking with ambulatory/clinic medical records. Initiates and oversees the development and deployment of a comprehensive risk adjustment and coding reporting program including the analysis, trending of data, data submission and identification of opportunities for complete capturing of patients’ current risk. Works closely with the leadership team and clinical and administrative managers to establish compliant coding workflows and standards to improve coding and accurate capturing of patients’ risk. Effectively leads and mentors a team of managers and coding analysts to help achieve the risk adjustment and coding goals of SWHR. Demonstrates continuous performance improvement in advancing the overall risk adjustment and coding program for all ACO contracts. Collaborates with other PHSC program directors and managers to assess performance monitoring and implement improvement plans, and to ensure accountability, feedback loops and monitoring systems. Develops and leads the HCC chart auditing program, to ensure accurate and complete capturing of patients’ risk. This includes establishing staff HCC auditing productivity goals, reliability crosscheck to ensure consistency, and implementation of appropriate tools, methods and standards for maximum efficiency for capturing accurate risk. Leads the education program for providers and staff in clinics on risk adjustment. and compliant coding practices, including individualized/escalated education, practices’ improvement plans, utilization of key coding tools, and training and reference materials. Develop, working closely with analytics, other risk score opportunities and a strategy for continual oversight of risk adjustment opportunities across all payers. Proactively identifies and educates leadership and staff regarding risk adjustment and coding requirements, including any new guidelines. Works closely with key clinic leadership when necessary to promote effective communication, facilitating information sharing and collaborative problem solving. Remains current on ICD-9/ICD-10 coding, CMS documentation requirements, and State and Federal regulations, including CMS-HCC model and guidelines and Medicare Program requirements for Advantage Health Plans. Serves as a training resource and subject matter expert to other team members for questions regarding ICD-9/ICD-10 coding and documentation requirements. Provides strategic oversight and contributions to key Physician Network and PHSC committees. Leads the development of key analytics and data to support Risk Adjustment financial forecasts, analysis and reporting to engage key stakeholders and communicate program results to the organization. Prepares reports and analysis of risk adjustment and coding outcomes data in order to identify opportunities for clinical process improvement initiatives. Hires, trains, and develops high performing staff to deliver high quality work and effective service to internal and external customers. Motivates and values staff around performance excellence, professional development, and participation in important meetings and committees. Prepares written and oral presentations for a variety of internal and external audiences. Work requires knowledge of CMS-HCC model and guidelines along with ICD-9/10 and guidelines. Work requires knowledge of medical terminology. Work requires excellent written and oral communication skills.